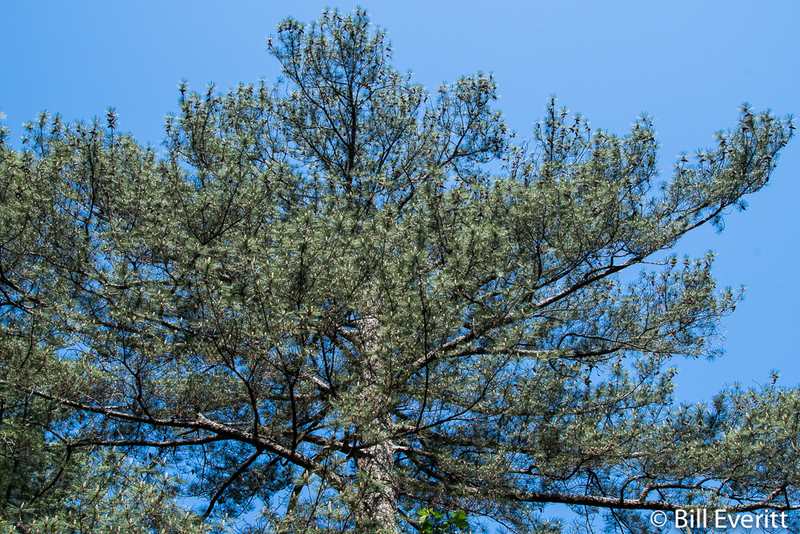 A Loblolly Pine can reach a height of 98–115 feet with a diameter of 1.3 – 4.9 feet. 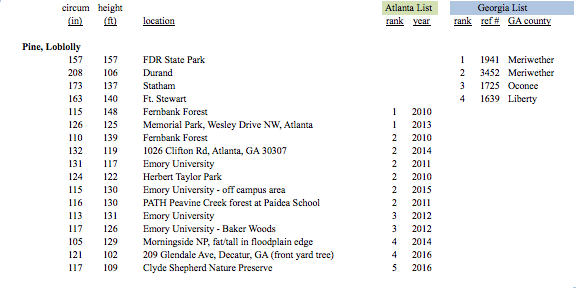 Exceptional specimens may reach 160 feet tall, the largest of the southern pines. 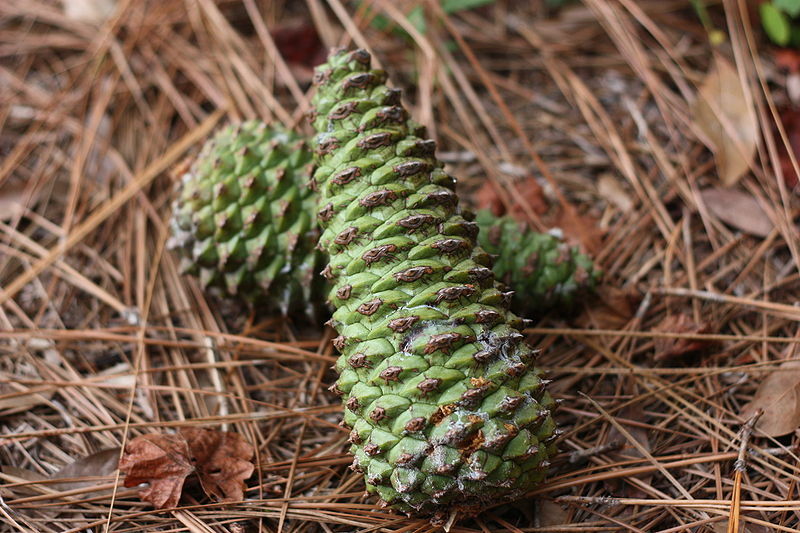 Its needles are in bundles of three, sometimes twisted, and measure 4.7 – 8.7 inches long; an intermediate length for southern pines, shorter than those of the longleaf pine or slash pine, but longer than those of the shortleaf pine and spruce pine. The word loblolly is a combination of lob, referring to thick heavy bubbling of cooking porridge, and lolly, an old British dialect word for broth, soup, or any other food boiled in a pot. In the southern United States, the word is used to mean “a mudhole; a mire,” a sense derived from an allusion to the consistency of porridge. 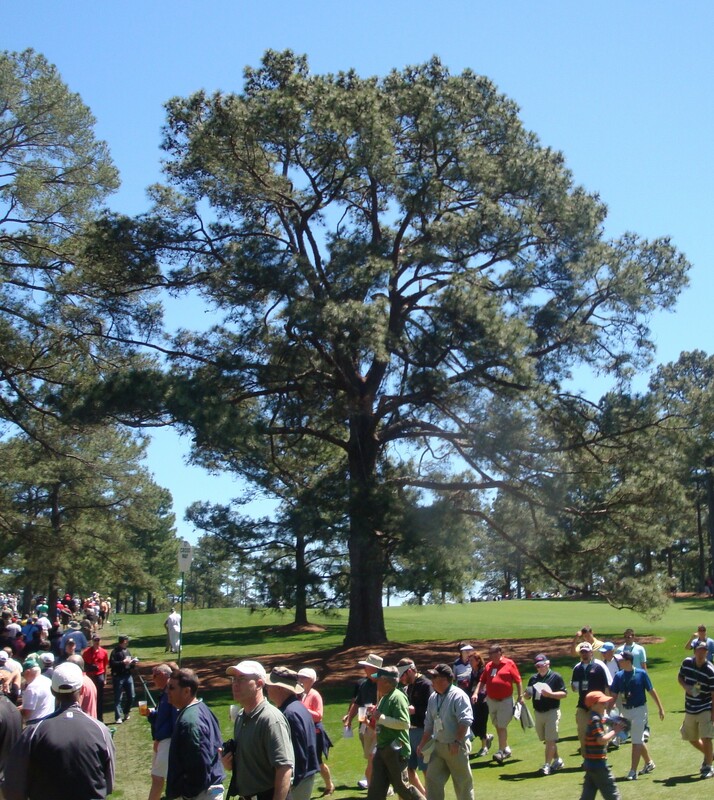 The famous “Eisenhower Tree” on the 17th hole of Augusta National Golf Club was a loblolly pine. U.S. President Dwight D. Eisenhower, an Augusta National member, hit the tree so many times that, at a 1956 club meeting, he proposed that it be cut down. Not wanting to offend the President, the club’s chairman, Clifford Roberts, immediately adjourned the meeting rather than reject the request outright. In February 2014, an ice storm severely damaged the Eisenhower Tree. The opinion of arborists was that the tree could not be saved and should be removed.